If you’re a frequent traveler, you’ve probably wondered how to avoid bed bugs while traveling. I’m terrified of bed bugs. Before I book any hotel or hostel (or even before I sign a lease for a new apartment), I do extensive research to find out if that address – or any neighboring ones – has had recent bed bug outbreaks. I’ve been the victim of bed bugs in my home, and it was not pretty. The extermination process is lengthy, costly, and incredibly inconvenient. Here are some tips from personal experience that can help you avoid bed bugs while traveling. These critters are all over cities like New York City, Seattle, Chicago, Vancouver, Boston, and many others throughout North America and Europe. Many people still aren’t aware of the problem – at least until they become infested. 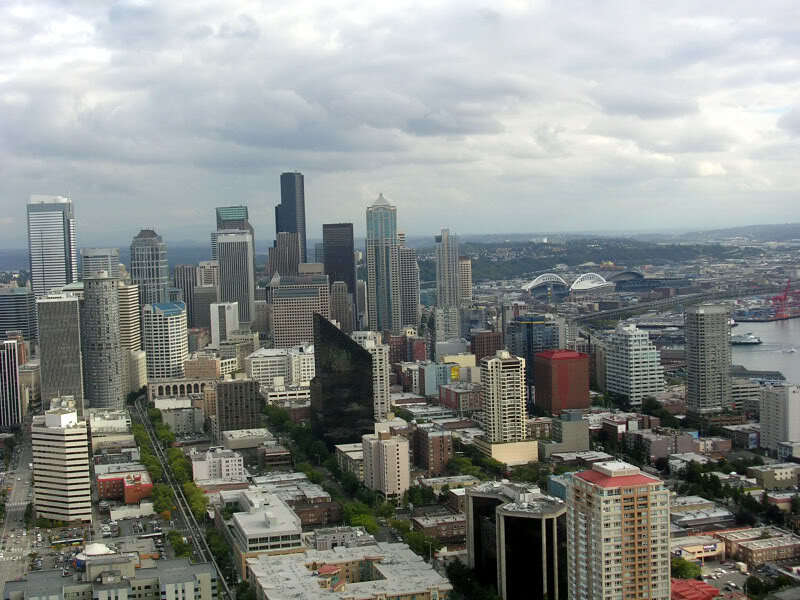 Seattle is a beautiful city, but like many U.S. urban areas, it is home to a lot of bed bugs. It’s easy to pick up bed bugs when you stay in a hotel or hostel. They camp out in backpacks, purses, and on clothing, so all it takes is one bug to jump in your suitcase before you head home, and you could be in trouble. A common misconception is that only run-down or dirty establishments have bed bugs. They are just after blood and don’t care about how clean a place is. Bed bugs have been found in the most high-end, exclusive hotels. Hotels have no real way to keep the bugs from coming in via the suitcase of a frequent traveler. Once inside, they hide out under mattresses, in closets, behind cracks in walls, or behind outlet covers. How to avoid bed bugs while traveling: What are bed bugs? Bed bugs are small creatures less than half an inch long that feed on human blood after you’re asleep. Some people wake up with itchy, red spots on their skin, while others show no symptoms. If you don’t have any symptoms, the only way you’ll know the bugs are present is to see dark stains on your bedding – that’s bug poo, containing your blood. Gross! Bed bugs know when to strike because they can actually sense when you’re in a deep sleep. The oxygen you give off in a deep rest is slightly different than the oxygen you give off in a light sleep, and, amazingly, the bugs are programmed to tell the difference. This allows them to come out and bite while you’re off in dreamland, and return to their hiding places before you wake up. The best place to search is bedbugregistry.com. This website relies on users to report outbreaks, then collects them in a nationwide database for the U.S. and parts of Canada. Look for signs of bed bugs in every hostel, hotel and B&B you visit. Enter the address of your hotel or destination, and the site will tell you where the closest bug report was filed, the date, and any relevant details about the infestation (i.e., “Bed bug infestation in 2017, exterminated and eliminated.”) Obviously, if the hotel has had recent bed bug problems, choose a different place to stay. When travel day arrives, pack up each outfit inside an airtight bag. Ziploc makes large airtight bags that are perfect for this purpose. Bed bugs love to travel on clothing, but they can’t get inside those bags. When you arrive at your room, examine the sheets for the small dark stains (bed bug poo) that are sure signs of an infestation. Check underneath the corners of the mattress and box spring to look for bugs or their eggs, which are little white spots the size of grains of salt. If you see signs of bed bugs, don’t just ask to be moved to a different room, because chances are the entire hotel is infested. Ask for your money back and find another place to stay. Occasionally, hotel managers may play dumb and blame you for bringing the bugs. But most experienced hotel managers are aware of the bed bug issue and are willing to accommodate refund requests, especially if you make it known that you’d be willing to go on the internet and spread the word about their infestation. Even if you don’t see signs, they could still be present. Always elevate your bags and shoes. Don’t leave them on the floor. Instead, choose a table or dresser, where it’s harder (but not impossible) for the bugs to get up there. Finally, when heading back home, do a quick visual check of your bags and again look for bugs, eggs, or stains that might indicate they have gotten inside your bags. A few extra minutes spent taking these preventative measures will go along way toward making sure you never experience an outbreak in your home. Hopefully, you won’t find yourself with an infestation, but if you do, you’ll need to hire an exterminator, who will provide at least 3 or 4 treatments a couple weeks apart. UPDATE: These days, some companies also have super-hot treatments where they can heat the entire house to 130 degrees, which kills all living bugs and eggs. So it’s possible to wipe out your infestation much quicker than it used to be. 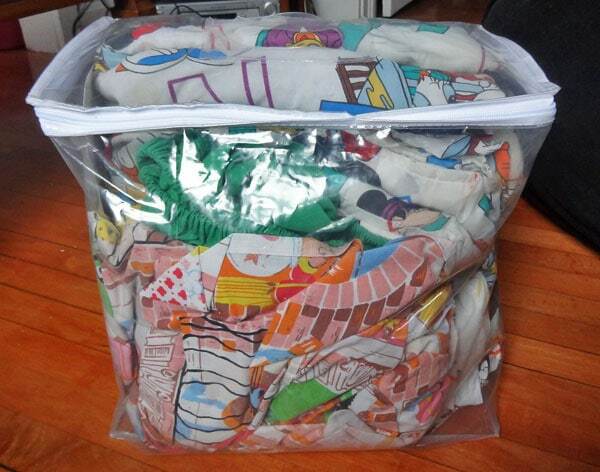 All bedding and clothing must be stored in airtight bags during the weeks-long extermination process. The treatments kill live bugs, but not their eggs, which is why the repeated visits are necessary after the eggs have hatched. Some exterminators are still learning about the bed bug issue themselves – do not trust any exterminators who say they can solve the problem with only one treatment. My outbreak was around ten years ago. I’m still not sure where they came from. Based on the time frame, I believe they must have followed me home from a trip to Portland and Seattle. Or possibly a quick trip to New York City shortly after that. Then again, they just as easily could have come from our next-door neighbor. When you have a home outbreak, you have to wash all your clothes on extreme hot, then immediately seal them in airtight plastic bags for weeks until the extermination process has finished. It’s a huge pain and the repeated treatments can cost a few hundred dollars. There’s a great element of chance in all this. Some people who don’t even think about bed bugs will never get them, while those who take precautions could still become victims. Be vigilant, do your research, and if you do get bed bugs, go all-out with the treatment process so you definitely kill them all and don’t end up spreading them around to someone else. The metal stands that often come in hotel rooms are great, because, like you said, they are hard for the bedbugs to climb. Often you can get an extra from the hotel room so you don’t have to fight over the one they give you with your travel companion or take up the limited table space with your luggage. The worst part is that these insects are getting more resistant to bed bug insecticides. I came across a lot of reports about hotels being infested in cities like NY, Toronto, Chicago among others and I wonder what would be done to combat this increasing infestation. Bedbugregistry.com says that there is currently no reliable insecticides to get rid of bed bugs and the only reliable way is to avoid bed bug encounter. I’m going to stay with my dad for weekend and we just discovered he had bedbugs two weeks ago. He got rid of this mattress and couch but I know the doesn’t began to solve the problem. He plans to buy me an air mattress to sleep on but I don’t think that’s going to help at all since I will be closer to the floor. I plan to cover up with a long shirt and pants to avoid the nasty bite marks they leave on your skin. So far I haven’t took any home with me (I hope) thankfully. And I no I’m taking a big risk by being there and I’m really terrified of just being in a home that’s infested since I no all I have to do is sit down and they can hitchhike a ride from there. I’m hoping I can convince him to let the land lord know about this problem so they can call pest control and take care of it asap. Keep your bags off the ground and check them before you go home, and that should minimize your chances of taking any with you. Some places (like New York) require landlords to pay to treat bed bug infestations, so it is definitely worth reporting it. Oh my gosh Scott, I was almost afraid to read this article. Ugh what an awful experience for you. Great that you are sharing knowledge that can help protect others. Hopefully others will benefit from it. Unfortunately the first time I had bed bugs I had no idea that the rust stains on my hostel mattress were a clear sign of the bugs. Now I always inspect the mattress just in case. I wish I had known the signs… I would have probably caught my outbreak a lot sooner. This is great and very helpful post. It is always best to check on the bed bug registry (thanks for posting its link) before going to a hotel (and even before booking it advance), but, as you say, you cannot beat making a quick check in the room itself as soon as you arrive. Yes, the professional exterminators just cannot do the treatment in one session. The eggs need to be dealt with otherwise the problem is still there. I’m sorry you had the infestation yourself, but I appreciate your post. Haven’t run into this problem yet, but I don’t want to, so thanks for the advice. Woo, I like that website you provided. 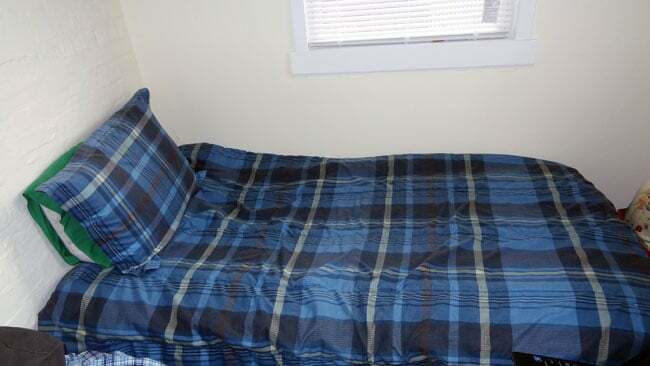 My family use to leave the pillows and blankets under the sun when it is summer to kill all the bugs and germs. I had no idea treatment was spread over that long. What an (expensive) pain! We’ve been lucky so far as well, but I’ll definitely start checking that site. Yes, it can take a really long time! I am going away in a few weeks and have now had a panic attack after reading your article. I have just checked the very useful link in your post to check the hotel and it was not on there, so I am hoping that my stay will be bed bug free! No need to panic, just do the research and once you see there are no bugs present, relax and enjoy your stay! May I kindly request that you change your post to read: I may have picked up bedbugs in LA following a lovely, bug free visit to Seattle? I wish I knew for sure where they came from! I started itching as soon as I started reading this. So far, I’ve been lucky. But it really is becoming a much larger issue than ever. Checking out the registry is a good idea. I did that before my last trip to NYC and it did influence where I stayed. The sad part is now that NYC is so infested, it will be next to impossible to get rid of these things across the city. Bed begs can be an issue. I have also heard that if you leave your luggage in the trunk of your car in the sun it will kill them. Thanks for the website to check for infestations. I didn’t know it existed. I know the bugs can survive in cars too, which makes them extra scary! Wow, this is a really great post, I never thought about bed bugs to be totally honest! My friend had them in his apartment once and it was a nightmare, but I never thought about them while traveling… valuable information! Sometimes ignorance is bliss, but I think it’s better to be prepared!